Inside-out or outside-in, how does MS begin? There has been ongoing debate in the scientific world about how MS begins – the so called “outside-in” or “inside-out” question — whether MS is a disease that starts in the immune cells circulating in the body which then enter the brain and attack, or whether damage within the brain, is the trigger that brings the immune system into the brain to cause further destruction. Genetic studies are helping researchers to begin to answer this question. Recent massive international collaborations have uncovered over 230 individual genetic changes that affect the risk of developing the disease. Many of these genes play a role in the immune system, and this provides evidence that MS is most likely to start with the immune system. So far, these studies have not identified any changes in myelin genes, but importantly they have also not been able to rule out this possibility. 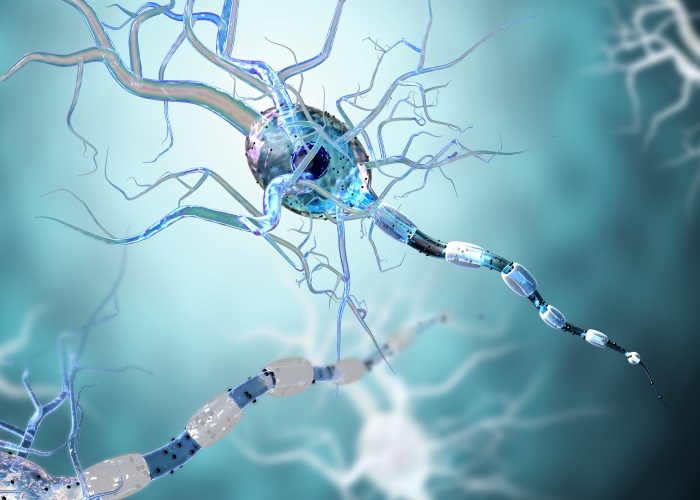 Researchers from the University of Queensland, funded by MS Research Australia and led by Associate Professor Judith Greer, have looked more closely at one gene that produces an essential and abundant component of myelin known as myelin proteolipid protein (PLP). Some mutations in the PLP gene can lead to an inherited disease called Pelizaeus-Merzbacher disease in males, where myelin production is highly disrupted, but mutations have also previously been identified in two people with MS. The research team looked at another group of people with MS to see if they could find alterations in the PLP gene. The PLP gene is on the X chromosome, and, due to biological changes over a woman’s lifetime, some genes on the X chromosome can switch on and off during the course of life. So to increase their chances of finding a genetic change that might be responsible for MS, the researchers concentrated their search only in women who developed MS at a later age. Their findings were recently published in the Journal of Clinical Medicine. They screened 22 women who developed primary progressive MS after 40 years of age and compared them to 42 women who did not have MS. 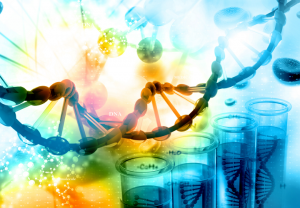 They identified a new mutation in the PLP gene in one person with MS. When the research team introduced this new genetic change, and the two previously discovered, into cells grown in the laboratory, they found that all three mutations had the potential to damage the myelin producing cells of the brain. This shows that in a small proportion of people with MS, it is possible that damage within the brain may be the triggering event that then draws in the immune system and leads to the development of MS, the “inside-out” model of disease. However, this is not the only way that PLP genetic changes could lead to MS. 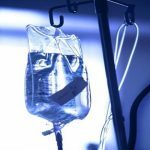 The research team also showed using computer predictions that the genetic change identified in this study would interact differently with a specific part of the immune system, potentially activating it in an autoimmune manner that could also potentially trigger MS – that is via the “outside-in” model. More work is needed to decipher exactly which mechanism might be at play in people who carry this version of the PLP gene. 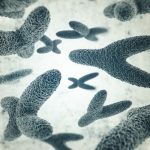 The genetics of the X chromosome has not been studied as much in MS and research studies like this one highlight the value of looking more closely at individual genetic changes to determine how they might lead to disease or contribute to disease progression. If we can better understand the mechanisms of MS, we can develop better medications to target the disease more precisely and effectively.